Discover inspiring answers to many life questions as you read the channeled material of THEO. From the teachers who inspired Esther Hicks, author of the bestselling Law of Attraction series, comes a wise guide to living an enlightened life. Following a near-death experience in 1969, Sheila Gillette became the direct channel for a consortium of twelve angelic messengers known as THEO. Having shared THEO’s wisdom for years via the THEO Group - an organization that Sheila and her husband, Marcus, founded - the Gillettes now bring THEO’s teachings to a broader audience. 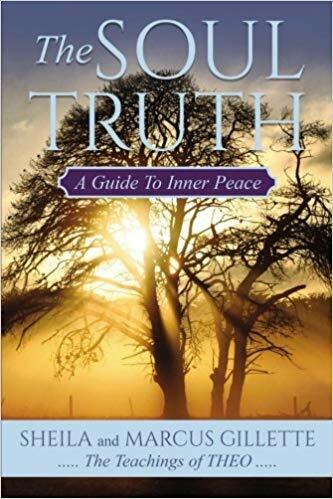 THE SOUL TRUTH provides readers with the tools to transcend the limitations of the physical world, gain insight into life's mysteries and learn to lead fulfilling and enlightened lives. Introducing humanity to an accelerated path of spiritual development, THEO gives readers direct access to angelic guidance and addresses such elusive subjects as karma, soul mates, Jesus, and the prophetic speculations surrounding the year 2012. 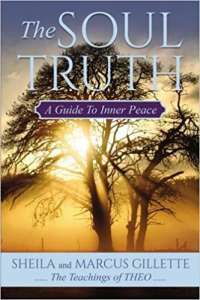 These detailed teachings, which are condensed and bulleted at the end of each chapter for easy digestion, are designed to help readers achieve a new state of peacefulness and enlightenment. With its powerful and liberating "there are no mistakes" approach, THE SOUL TRUTH invites readers to join the millions of ordinary people currently experiencing extraordinary and life-changing experiences. Sheila and Marcus Gillette are co-founders of The THEO Group, an organization dedicated to sharing the wisdom of the Angelic Hierarchy to assist humanity as it shifts into a higher state of consciousness. Sheila is also the author of The 5th Dimension: Channels to a New Reality. Touted as being a 'book before its time' by many, The 5th Dimension: Channels to a New Reality, published in by Simon and Schuster, was written by Sheila with assistance from THEO. The 5th Dimension is the book that tells us what the New Age will be like and how to live in it. It is a startling preview of a new evolutionary era which springs from the experience of one of today’s foremost and highly respected trance channelers. 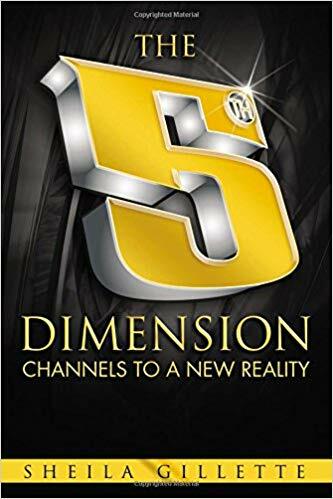 From a revolution in human consciousness to major medical breakthroughs, from political realignment to the rejuvenation of our emotional and sexual relationships, The 5th Dimension foretells in detail the complete restructuring of our lives. Combining her own insights with many passages channeled directly from THEO, Sheila brings us not only a crystal-clear vision of these extraordinary changes but also specific advice on how to contact the higher self, heal, use our psychic powers, and channel. The 5th Dimension is a unique roadmap to a future that has already begun to reshape the world.